Will a Tracking URL Hurt Your Local Rankings in Google? You may have considered building a tracking URL and putting it in the “Website” field of your Google My Business Google Places page. 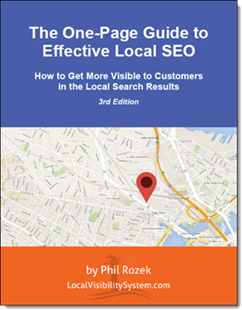 You’d do this so that you could see in Google Analytics how many clicks came from people how found you in the local 3-pack (as opposed to in the organic results). But maybe you didn’t try it because you there was a chance it would mess up your rankings or a client’s rankings. Well, no problem. I made myself your lab rat and put a tracking URL on my Local Visibility System page. As I suspected, it doesn’t seem to have hurt my visibility in the search results. That’s what I see in the Google My Business “Insights,” which you have to take with a fistful of salt. So I checked Analytics, too, and I don’t see a loss in traffic. I don’t pretend that this is a scientific test. Like the experiment I did back in October (“Do Longer Business Hours Help Local Rankings in Google?”), it’s just one case-study. I could try it for other businesses and my results might vary. But what I have concluded is that there’s no inherent harm in using a tracking URL on your Google page, so now I’m more comfortable with using tracking URLs for clients. That squares with what Dan Leibson mentioned in his great post on the topic. 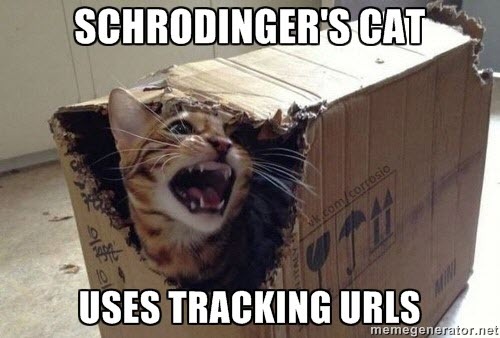 Have you tried using a tracking URL on a local page (yours or a client’s)? If so, what have you seen? Any concerns I didn’t address?